There are very few airline liveries out there that I like more than Cathay Pacific. 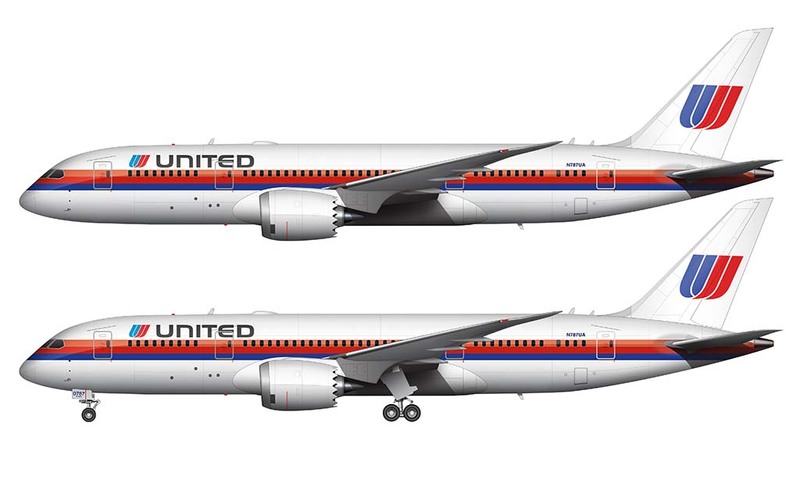 Arguably one of the finest airlines in the sky, their corporate branding is subtle and classy in a way that makes me compare everyone else in the industry to them – and I’m cringing at the thought of it ever changing. It’s difficult to put my finger on exactly what it is that makes me like it so much, but you know that I’m a fan of muted colors, and the Cathay Pacific palette has been designed exactly the way I would have done it myself. Clean, classy, and professional without being over the top. Although they operate a huge fleet of different aircraft types, I decided to do my first illustration of this livery on an airplane that is no longer part of their fleet: the 747-400. This is the aircraft I think of whenever I think of Cathay Pacific, which (for years) was the backbone of their global operations. 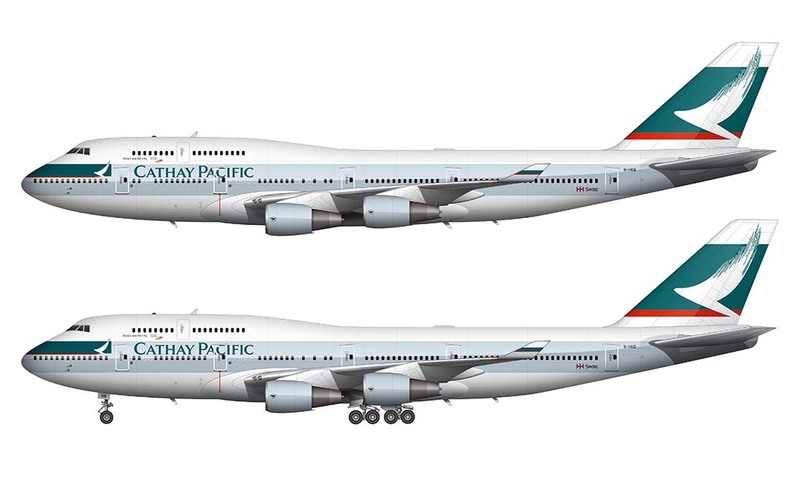 If you have flown Cathay Pacific to Hong Kong at any time in the past 20 years, there’s a pretty good chance you got a ride on a 747-400. As far as creating the livery goes, this one was pretty straightforward and easy to replicate. The “wing” logo on the vertical stabilizer gave me some heartburn for a bit as I tried to get it properly proportioned and positioned, but otherwise, there weren’t any major issues. 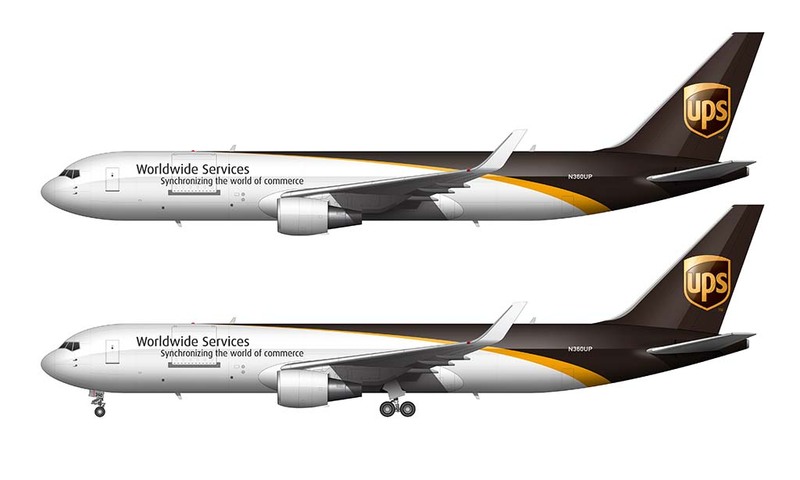 I wish it was always that easy, because some of these livery illustrations are far more complicated than I care to admit!